Joe Brotherton is sheepishly browsing Manchester’s Hollister store. He’s eyeing up one of the Zac Efron-lookalikes folding shirts by the till, trying to decide whether to approach the shop worker or not. “They hate me in here,” says the 23-year-old former Alexander McQueen model. “I keep trying to steal all their staff.” It’s a slow day for Joe: a gale has cleared the streets of people (beautiful or otherwise) and now even the staff at his trusted hunting ground, Hollister, are coming up short. Literally. “He’s probably only about 5’10”,” says Joe. 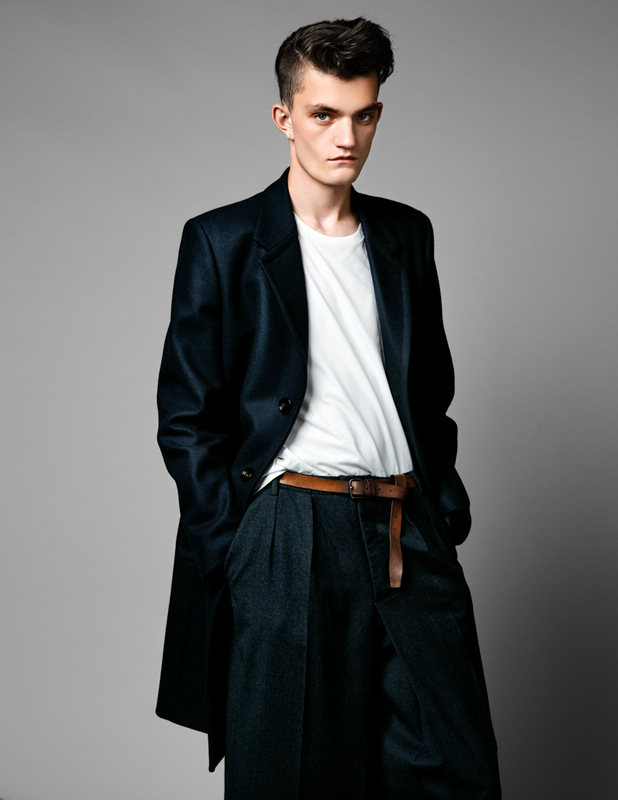 “The clients would never go for him.” Joe quit the catwalk a year ago after spending four years treading the boards. He now spends his days doing what we’re doing today: prowling shopping centres and festivals in the northwest for his would-be successors. 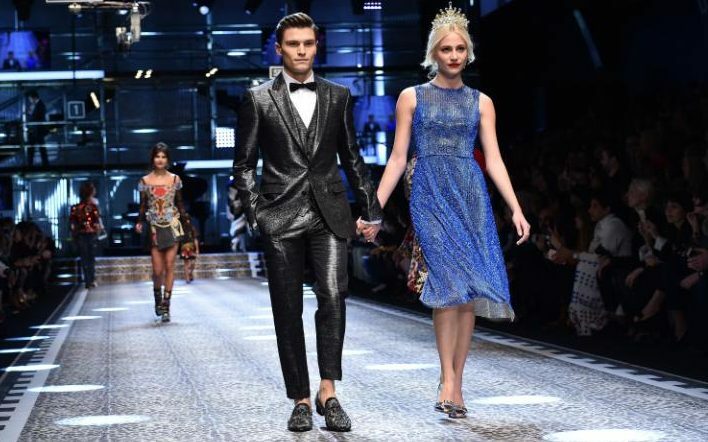 It’s a time-honoured approach to discovering new talent in the modelling industry: Kate Moss was famously spotted walking through JFK airport; British male model Oliver Cheshire was spied by model scouts while in the audience at the annual clothes show live event in Birmingham. 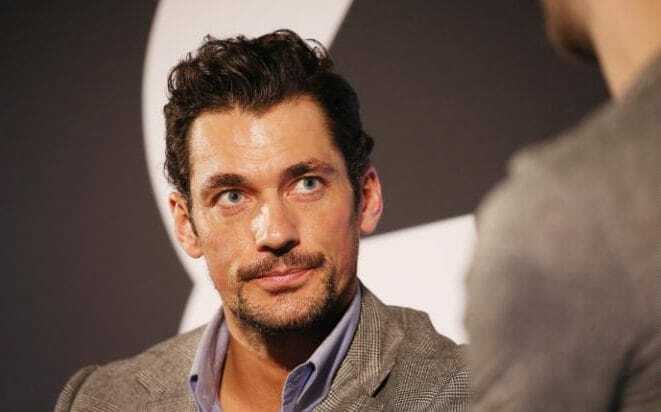 David Gandy, meanwhile, won a modelling competition that he didn’t even know he had entered – which just goes to show that models can stumble upon their calling anywhere, at any time. As we decamp to H&M to continue our search, Joe explains that there are certain characteristics he is looking for in his would-be male models. Some are pretty obvious – you’ve got to be between 5’11” 6’3″, and able to squeeze into a 30 or 32 inch waist. Other qualities sound almost impossible in their proportions: the perfect man, apparently, is 6’3″ – with size eight feet. Joe spots a promising-looking candidate by the escalators, but doesn’t approach. “Too muscly,” he explains, pointing to the man’s bulging side profile. You may think you have to look like you fought your way off a Greek urn to make it in the industry, but the reality is anything but. “Most models are only about a 38in chest,” says Joe, who never scouts at the gym, and says men that work out a lot tend to have over-developed chests and massive thighs, which look odd in jeans. The majority of male models are all-rounder’s, able to traverse the distinct worlds of high street, high fashion and fitness shoots. As we chat Joe gets distracted by a possible find: he’s tall, slim and has cheekbones you could cut glass with – but like most men in their late teens/early twenties, his skin is anything but marble-smooth.“That’ll cover with a bit of foundation,” shrugs Joe. “And the client can always airbrush it out if it doesn’t.” Interestingly, those little imperfections you might assume would rule you out as Britain’s next top model – acne scars, crooked teeth (“male models never smile”) – might not be the barrier to success you’d think. In fact, they might actually work in your favour. “Freckles are really popular right now. And big lips.” Joe starts chatting to a guy handing out yoghurt samples in the middle of the shopping centre – but, like another guy we spoke to earlier, it turns out he’s already a professional model. “The majority of men I approach have already been scouted by other agencies,” says Joe, who usually only hands out around six or seven cards each week. He explains that he’s resorted to extreme lengths to get his man. “I once jumped in front of someone at traffic lights,” he laughs. “But they didn’t stop!.” Male models can easily earn between £1,000 and £2,000 a week, but, it seems, such indifference isn’t uncommon – even among men who take a card. Up to a quarter of those scouted by Joe never bother to get in touch. Fortunately for the scout, not everyone is so blasé about what could be their ‘golden ticket’. It’s late afternoon and Joe has just sprinted down the street after a guy on his way home from work. He’s around 6ft, classically handsome – and clearly overawed at having being approached. Sam, as I discover he’s called, is not only much older than any of the other men we’ve spoken to today – he’s 30, which gives him a good decade on the others we’ve approached – but also apparently more aware of what a life-changing opportunity this could prove to be. He’s bouncing up and down, giddy with excitement, and clearly humbled by the suggestion he’s got what it takes. Even so, Joe isn’t taking any chances: as well as giving Sam a card, he takes down his email address – something he hasn’t done with anyone else he’s scouted today. “I only ask for their email address if they’re really special,” says Joe, who’s particularly excited about Sam’s thick, wavy hair. We end the day at a casting agency, where a dozen or so would-be models have just arrived for their induction. Most were scouted on the streets by Joe, a couple via Instagram, and the rest have applied via the agency’s website. They’re taking it in turns to walk, learning from corrections issued by Joe and his colleagues. A few have it nailed, staring seductively as they pace, slowly and confidently. Others march; shoulders hunched, feet akimbo, with pouts befitting the way they waddle. Joe isn’t concerned. He takes to the imaginary runway and shows them how it’s done. “You’ll get it,” he reassures. Indeed, it’s very rare they don’t – eventually. “About 90 per cent of the people get taken on,” Joe tells me, while a colleague drills the trainees on poses. “Sometimes, there will be people who looked great when we met them on the street, then they’ll come in to the office and look like a completely different person. That’s especially true of guys we scout on Instagram. But we only offer shoots to guys we’re pretty confident in.” It’s getting late now, the gale is blowing a fury outside, and my stomach is starting to growl. Joe is supposed to have finished already – but he shows no sign of stopping. “Like this,” he says, bouncing on to the catwalk. “One,” he shouts, dropping his hands to his side and posing. “Two!” He flips around and glances over his shoulder. I shuffle towards the door as he enunciates each number. The trainees are hanging on his every move. I leave them to their lesson.